07 February 1943: Keel laid by the Norfolk Navy Yard, Portsmouth, Va.
05 May 1944: Sunk, torpedoed by U-967 off Oran, Algeria. 29 crewmembers were killed and 26 wounded. Laning (DE 159) and other ships of the convoy rescued 186 survivors. 99k Augustus Francis Fechteler, born in Prussia 01 September 1857, was a member of the Naval Academy class of 1877. His distinguished career of service in important posts included command of the 2d, 6th and 7th Divisions of the Atlantic Fleet, the Norfolk Navy Yard, and the 5th Naval District. 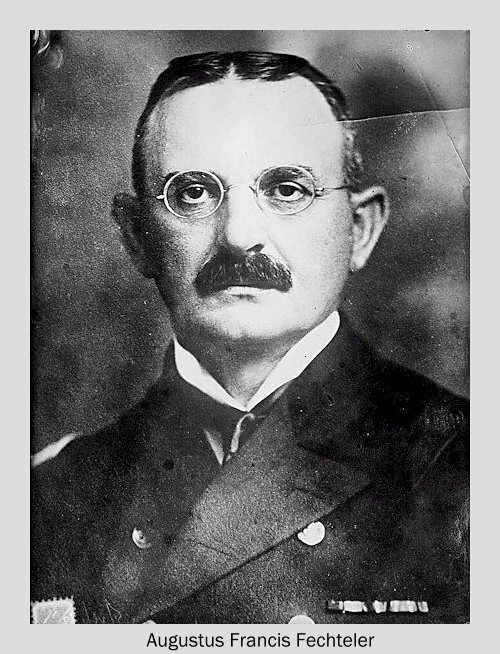 He was awarded the Navy Cross for exceptionally meritorious service in duty of great responsibility as Commander of the 6th Division and the Norfolk Navy Yard during World War I. Rear Admiral Fechteler died at the Naval Operating Base, Hampton Roads, Va., 26 May 1921. His son, Frank Casper Fechteler, born 8 July 1897 in San Rafael, Calif., was a member of the Naval Academy class of 1918, ordered to duty in 1917. He served in Paducah through World War I, and after the war was trained as an aviator. His last duty was in Langley (CV-1). While preparing to compete in the Pulitzer Trophy Race of 1922, Lieutenant Fechteler was killed in an airplane crash near Detroit 18 September 1922. USS Fechteler (DE 157) (1943-1944) was the first ship named in their honor, she was succeeded by DD 870 (1946-1970). 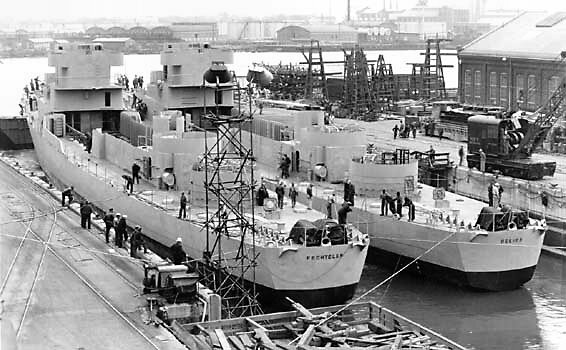 60k Fechteler (DE 157) and Reeves (DE 156) at Norfolk Navy Yard. 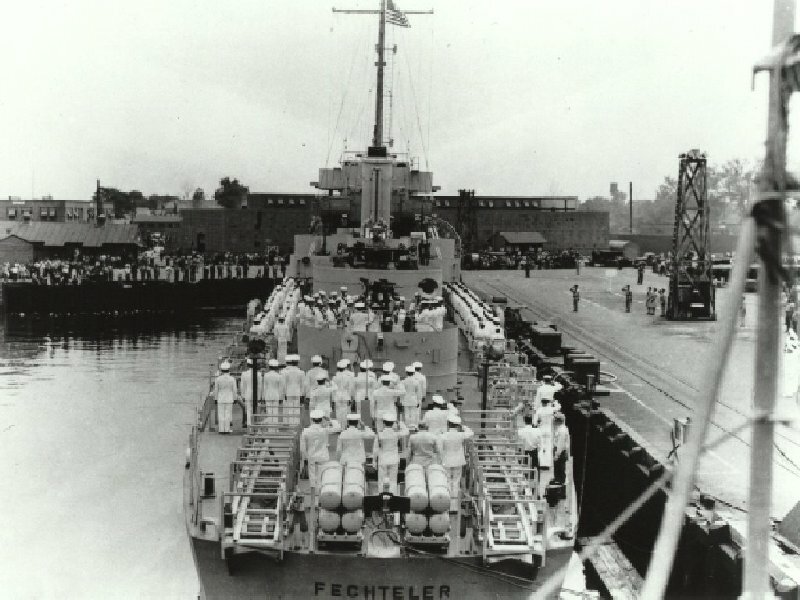 View the USS Fechteler (DE 157) DANFS history entry located on the Naval History and Heritage Command web site.